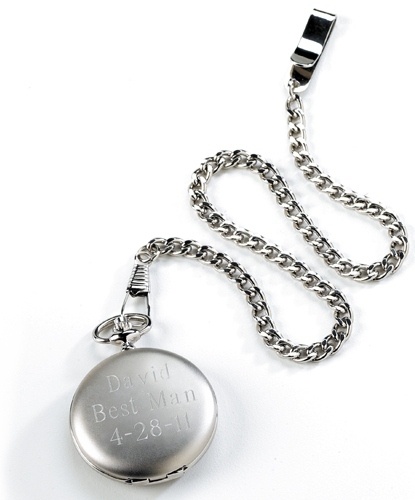 * An elegant gift for groomsmen, the father of the bride or any man who appreciates the classic look of a pocket watch. * The engraved cover makes it an especially thoughtful gift. 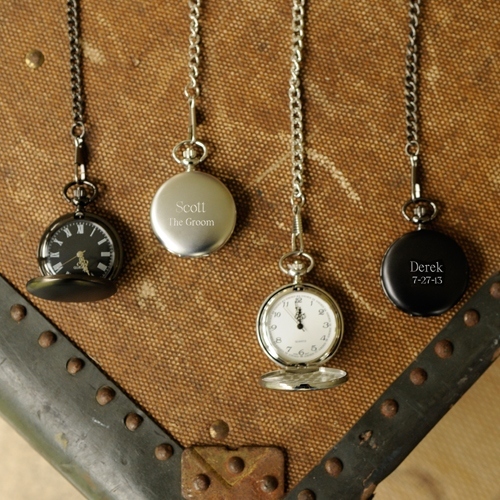 * Each silver pocket watch with Quartz Movement measures 1 1/2" in diameter and includes a 14" removable chain. 14" x 2" x 1.5"